660 (47 Q / 34 V). Need to improve verbal. 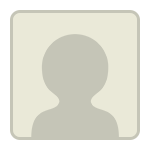 Hello – I took the official exam this weekend and scored a 660 (47 Quant, 34 Verbal). My target score breakdown is 49 Quant and 40-42 Verbal. 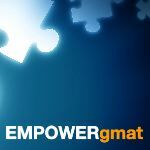 I use EmpowerGMAT tactics. I always pick smart numbers or use the answer choices when possible. I’m confident about quant. If I finish all of OG, the math companion to OG, Sackmann sets, and GMAT club tests, I feel I will hit my 49 target. I have not emphasized my verbal prep as much as my math prep. I want to know the best way to go about getting 6 more points in verbal. I think I’m too slow on SC. I also find it harder to focus in the verbal section versus the quant. What’s the best online resource for verbal? Is there a target test prep for verbal? On my test this weekend I was so slow on timing, I had to rush the last RC and every afterwards. I’m sure that cost me a few points. I need the secret sauce to verbal guys. Also, do you think I can make this much of a verbal increase in 2 weeks? If you do choose to retest, then I'd like to know a bit more about your studies so far. You mentioned that you used the EMPOWERgmat Course - but you didn't clarify for how long, the Study Plan you used, your prior CAT scores, etc. You also mentioned that you had not put much effort into your Verbal studies; does that mean that you didn't work through the Verbal "half" of the EMPOWERgmat Course? A V40 is approximately the 90th percentile - and it will take some significant effort - and focused training - to consistently score at that level. If you'd rather discuss all of this privately, then you can feel free to PM me or email me directly.